There are also dozens of hairlines drawn across the map, most of them extending east to west into Ohio from neighboring Pennsylvania and Virginia (now West Virginia), evidence of a crude road system that had been under development since early settlement in the region. One stretch in particular heads west from just outside of New Castle, Pa., into Ohio and threads through what was then the southern portion of Trumbull County, knitting together hamlets labeled Poland, Canfield and Deerfield. It is the oldest chartered entry of what would much later be known as U.S. Route 224. Since then, this single 25-mile stretch in Ohio serves as a living museum of what has transpired in the Mahoning Valley – and thus, the United States – over the past two centuries. To follow its path is to follow the story of the early Native American inhabitants in the region, migration patterns of white landowners during the late 18th century, the abolitionist movement of the antebellum era, education, recreation, the industrial and commercial retail boom of the 20th century and the suburban sprawl of post-World War II America. “Each of the townships, when they were laid out, had a provision for a central village that would serve outlying farms,” says Bill Lawson, executive director of the Mahoning Valley Historical Society. These town centers were likely to be connected by roads – in this case, an east-west dirt thoroughfare that served as the main corridor between the town centers of Poland, Boardman and Canfield. In Boardman, for example, an area two miles square at the intersection of Market Street and what today is 224 was designated as a place reserved for artisans, merchants and tradesmen with smaller lots. “Boardman Center has always had a more commercial tone to it, along with a village appeal,” Lawson says. Throughout the 19th century, larger farms dominated the strip and gradually gave way to more commercial activity. Indeed, this stretch of 224 has a history as rich as the United States. Probably the oldest structure still standing along the thoroughfare is the Loghurst home, constructed in 1805 for Conrad Naff (Neff) in Canfield Township. The structure was built as a log house, but later encased by a three-story wooden clapboard house. It is presumed to be the oldest remaining log house in the Western Reserve and today is a museum. Among its owners was Jacob Barnes, who was active in the abolitionist movement during the mid-19th century. Other slices of history abound throughout the corridor. 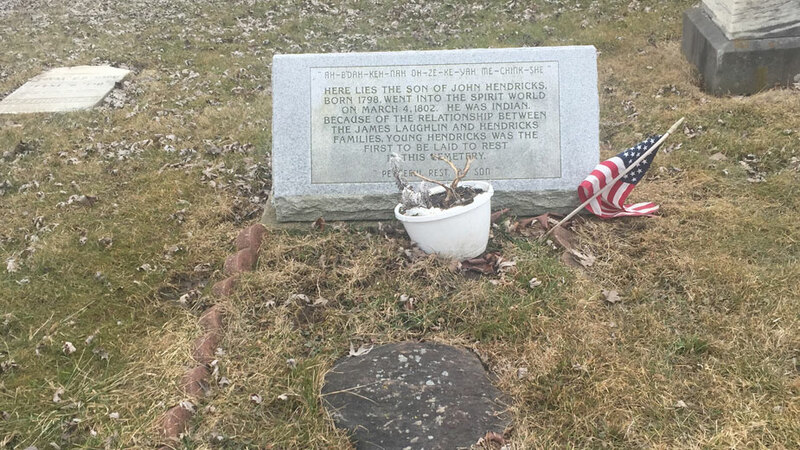 Just across the Mahoning County line into Portage County in Deerfield stands a small cemetery that contains the grave of a Native American child, the son of John Hendricks. The four-year-old was buried there March 4, 1802, and is most likely the oldest gravesite along U.S. 224. Also buried in the cemetery is Rachel Kelly Grant, a grandmother of Ulysses S. Grant. In Poland Township, the building known as The Little Red Schoolhouse, built in 1858, is a reminder of a period when a single, small school was sufficient to serve that population of the township in the mid-19th century. During the latter half of the 20th century, the thoroughfare began to shed its bucolic image as commercial development followed the migration to the suburbs, Lawson notes. In 1933, construction of U.S. 224 began in Huntington, Ind., and continued into Ohio. Its eastern segment incorporated the existing road that connected Canfield, Boardman and Poland. Among the first to recognize the potential for growth was Edward J. DeBartolo, who developed the Boardman Plaza in 1950. “It was one of his first large-scale projects,” Lawson says. “He was anticipating further residential development after the war.” The opening of Interstate 80 in 1953 and eventual completion of Interstate 680 during the early 1970s helped boost both residential and commercial growth, especially in Boardman, he says. In 1969, the status of the area as a major commercial hub was affirmed with the opening of DeBartolo’s Southern Park Mall, Lawson adds. 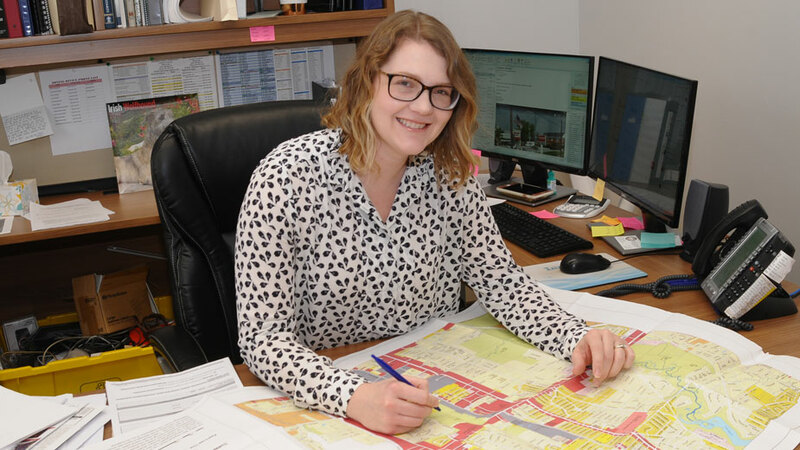 Today, the commercial corridor of U.S. 224 in Boardman Township is among the most traveled sections of this 289-mile highway that runs from Huntington, Ind., to New Castle, says Krista Beniston, director of zoning and development in Boardman. In 1980, the section between Tippecanoe Road and Market Street along 224 attracted 23,360 vehicles a day, according to data provided by the Ohio Department of Transportation. The latest traffic count shows 35,440 vehicles travel this stretch daily, the highest concentration of traffic in Mahoning County. “That’s high compared to other areas along 224,” Beniston says, rivaling more populated cities through which 224 passes, such as Akron. Yet the retail and commercial market along 224 has undergone transition over the past several years, Beniston says, and the township has embarked on a comprehensive study to help prepare the area for what the future brings. The township is reviewing more than 1,000 responses from businesses and the public as to what the township needs to prepare it for development, and the 224 corridor plays a large part in this. The objective is to develop a comprehensive map by updating zoning codes and introducing other improvements to help new development find its footing. Much of the zoning regulations have been in place for more than 50 years, Beniston says, and there needs to be more flexibility when it comes to mixed-use developments and other creative ideas. An example of this redevelopment could be the vacant Kmart property on the eastern side of the township, Beniston says. “We can help that along if someone wants to do something a little different.” The township hopes to have a plan developed sometime this summer, she says. “We want to make sure Boardman remains competitive – supporting existing businesses and attracting new ones.” A new coffee shop, she points out, is slated for an outparcel on 224 at the former Kmart site. Major retailers such as Staples, Toys R Us, Pat Catan’s, Sears and Dillard’s have either closed their doors or are scheduled to close. Yet these closings could mean additional opportunity for other retailers looking to expand or improve their position along 224, Kutlick says. Still, much of the new development along this section of 224 consists of retailers relocating to better positions along the route, Kutlick says. New business has been slower to develop on the eastern end of 224 heading into Pennsylvania, says Bob Monus, planning and zoning director for Poland Township. The last major project on the books was the Inn at Poland Way, a senior-living complex that opened in November 2016. “In this part of the township, there’s still a lot of residences. So sometimes it’s difficult to envision expansions out here,” Monus says. Farther west, in Canfield Township, developments over the past decade such as the Westford Lifestyle Community and the Ironwood mixed-use communities at the junction of Raccoon Road have transformed this section of 224, relates Traci DeCapua, zoning inspector for the township. “There’s a new banquet facility going in at Westford, while a new plaza developed by Mr. [Mike] Naffah now houses Scacchetti’s and Ghossain’s,” she says. Work should also begin soon on a new 30-unit villa community that Naffah plans to develop at Ironwood, according to DeCapua. Among the largest projects set for the township along 224 is the proposed Millennial Moments, a 111-acre mixed-use development designated as a joint economic development district, or JEDD, between the township and the city of Canfield, DeCapua says. The JEDD agreement allows for the use of city water in exchange for a 1% income tax, while the county retains property taxes on the development. “The development would be fronted by businesses,” along 224, DeCapua says. Further off the road, the plan is to develop denser housing and single-family houses, she says. Any development farther west along 224 is difficult because this area lacks sanitary-sewer and water service, DeCapua says. Pictured: Krista Beniston says Boardman Township is developing a comprehensive plan.